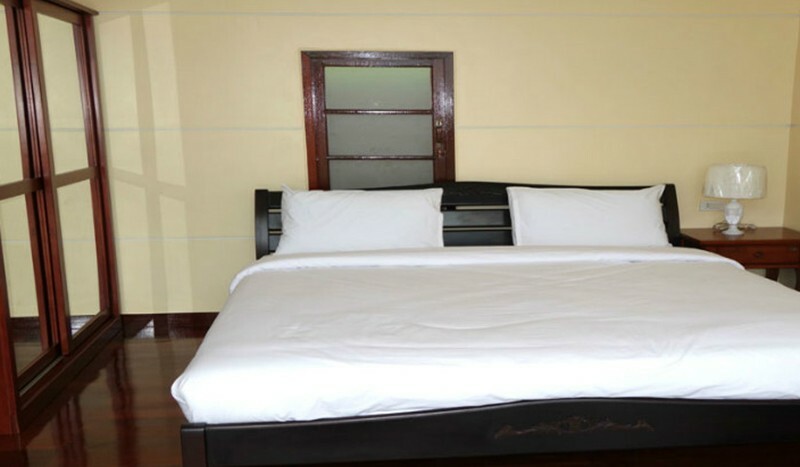 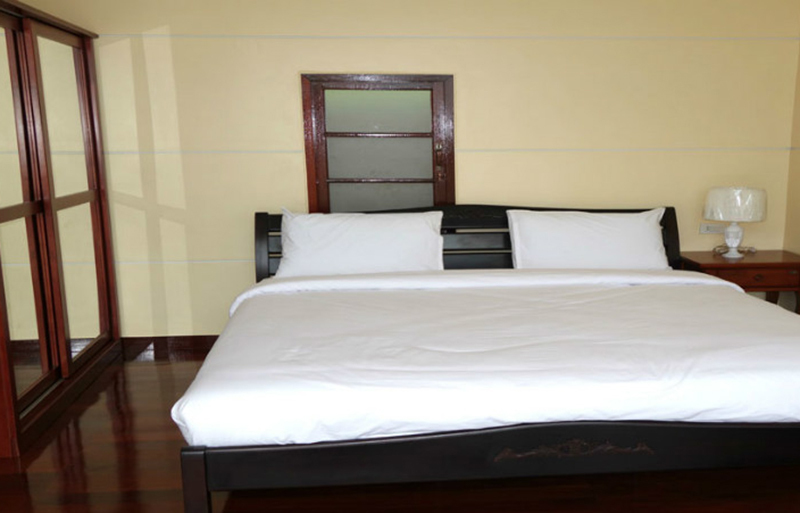 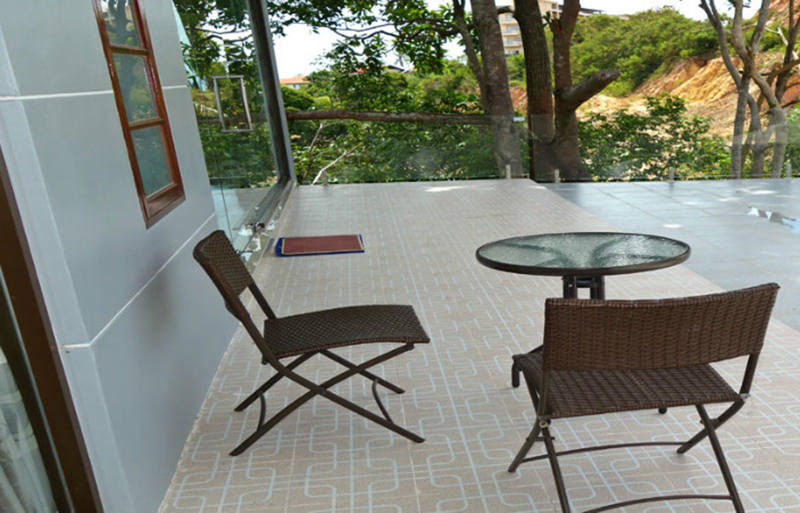 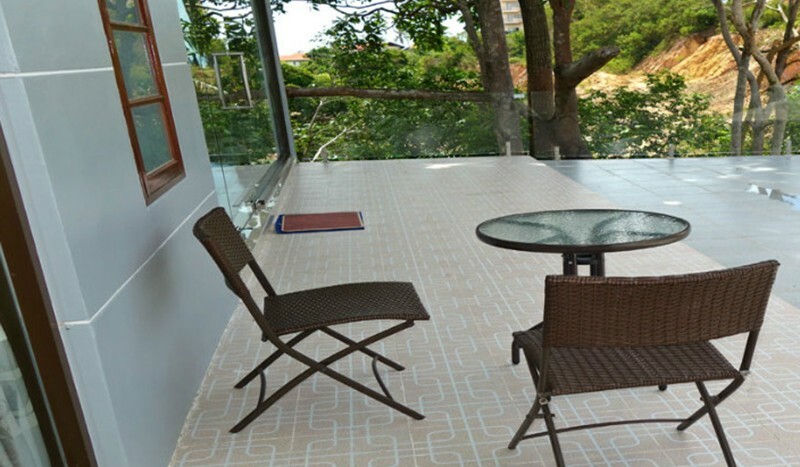 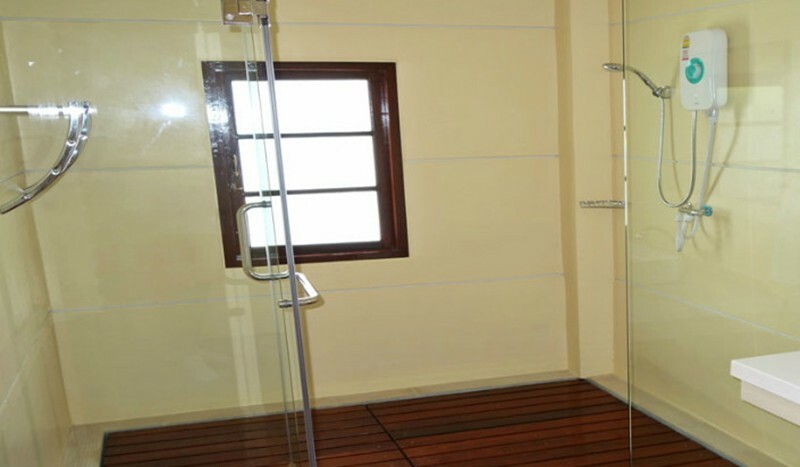 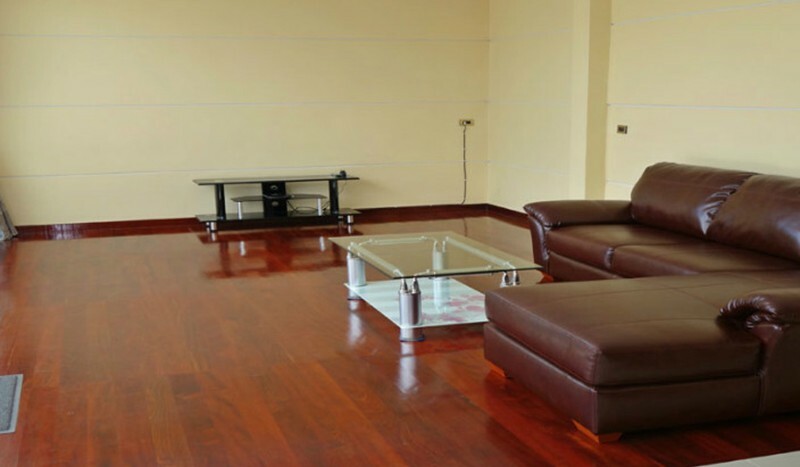 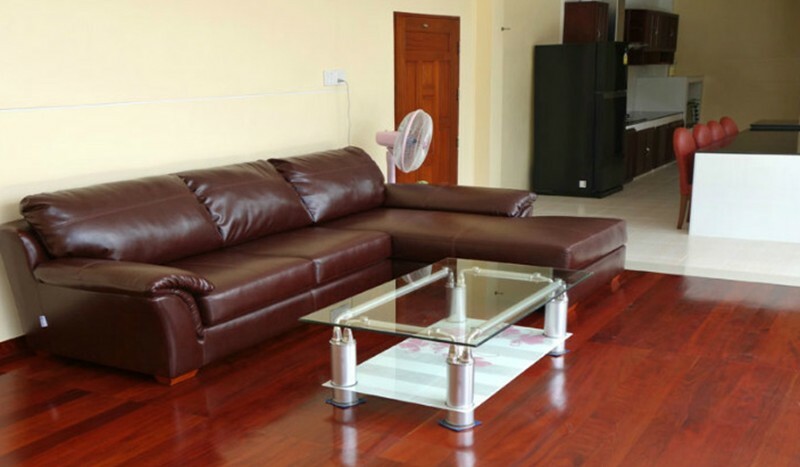 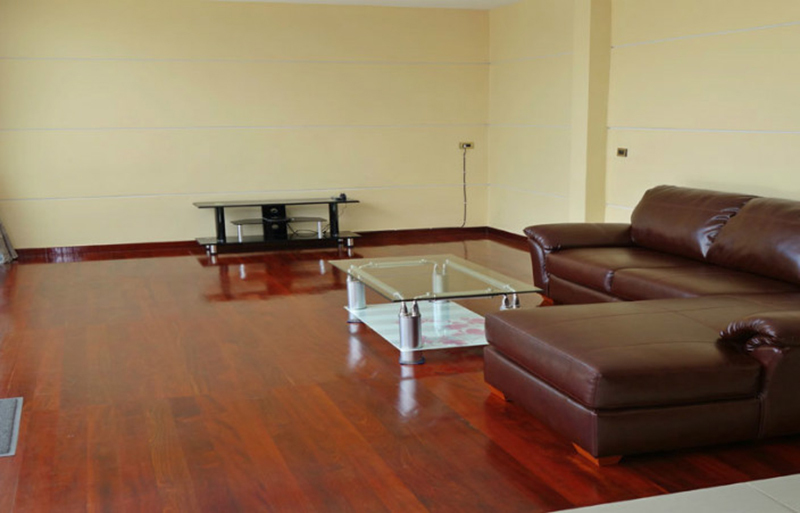 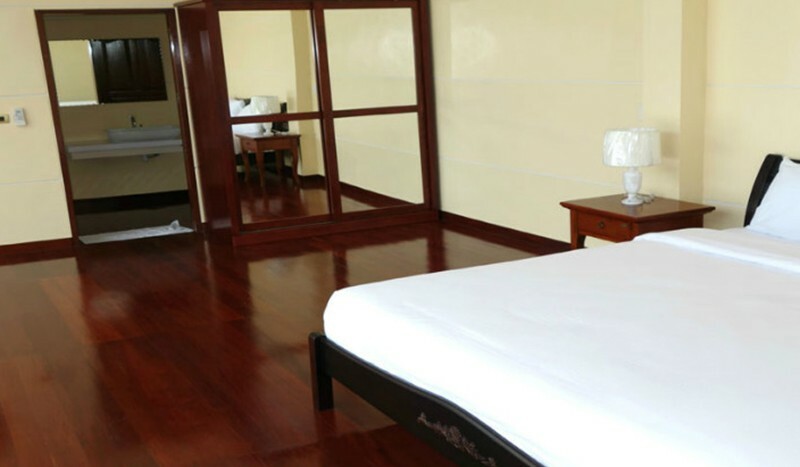 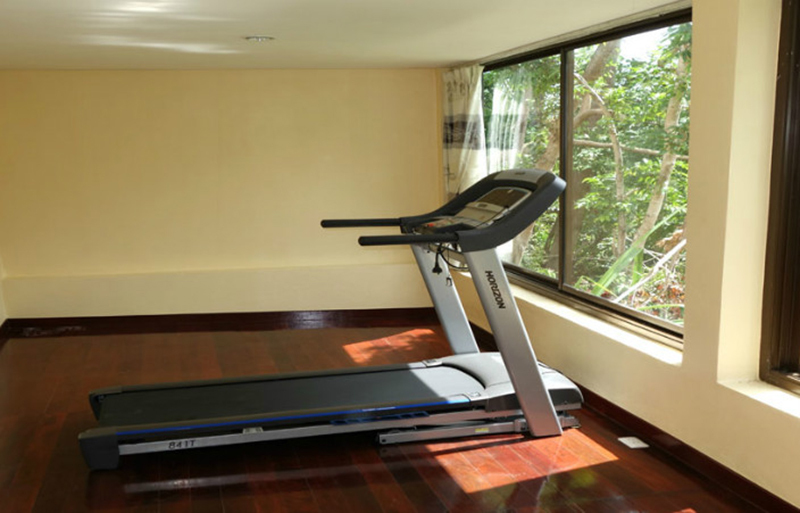 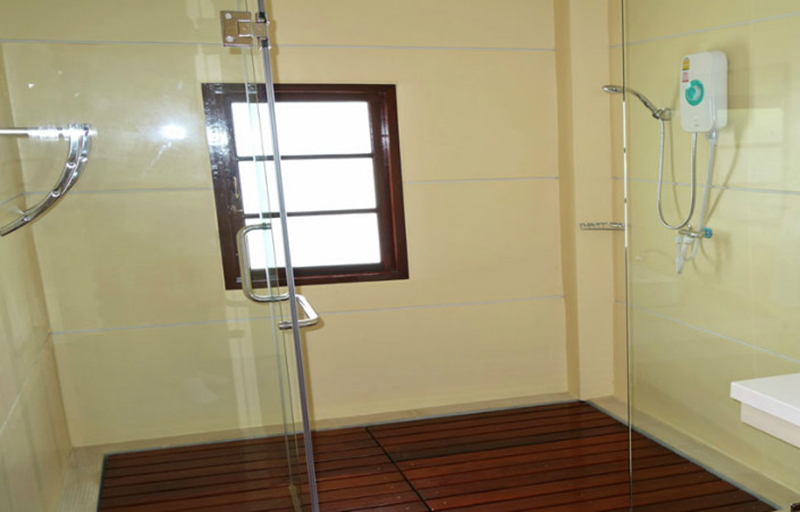 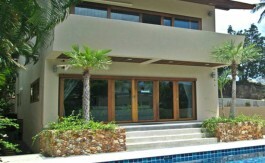 Beautiful and cozy 3 bedroom villa for rent is ideally located in the secure complex of Bangrak area. 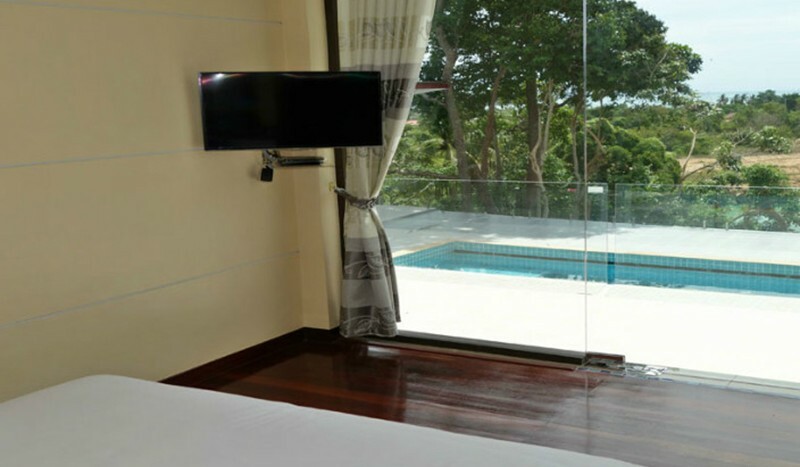 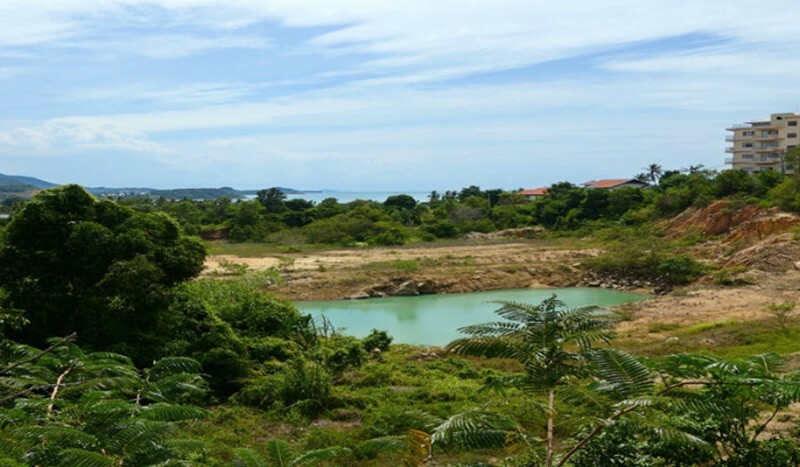 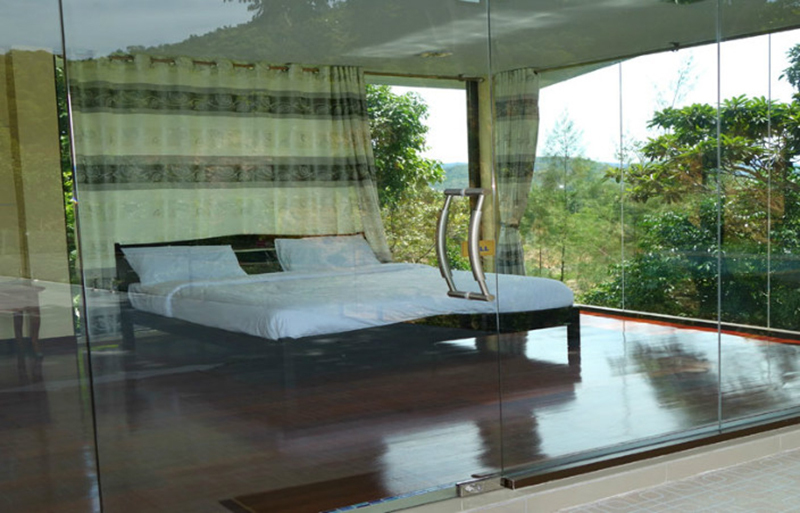 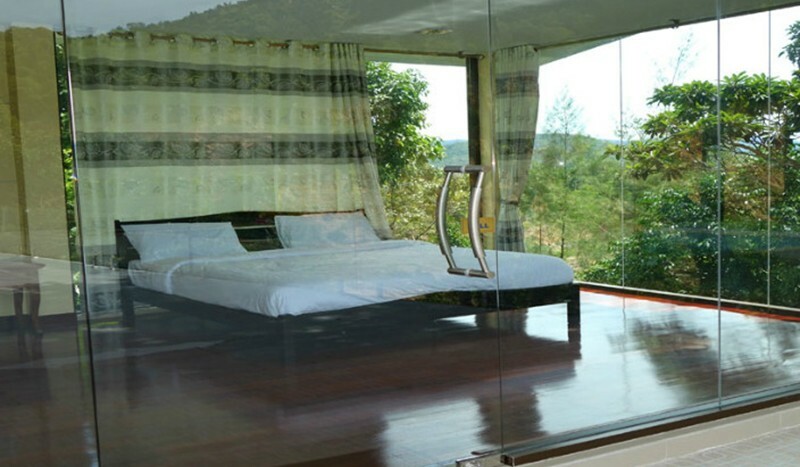 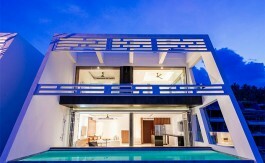 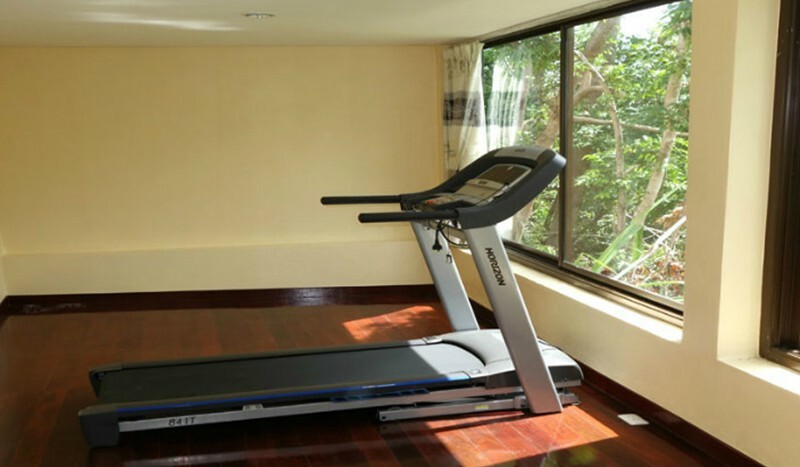 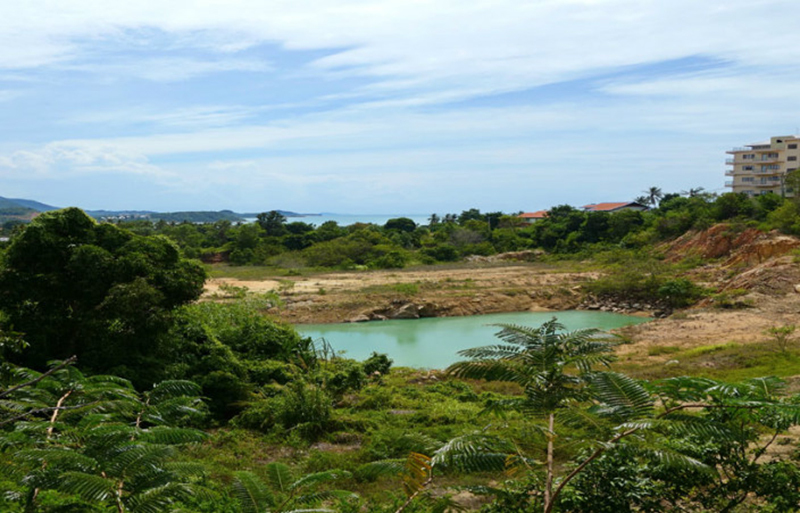 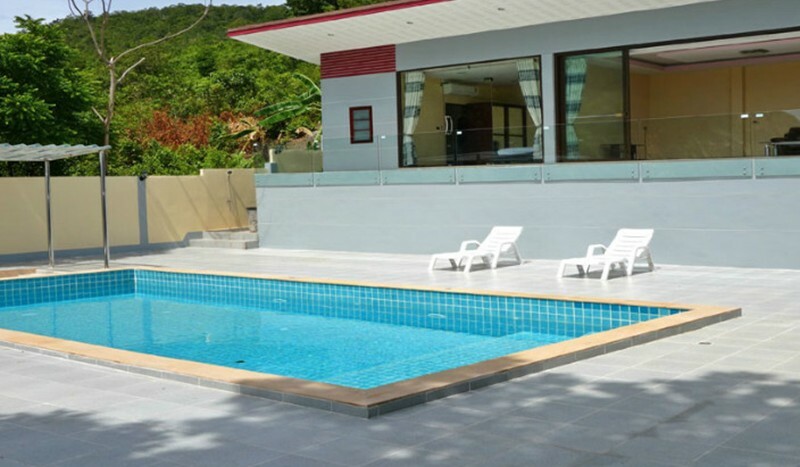 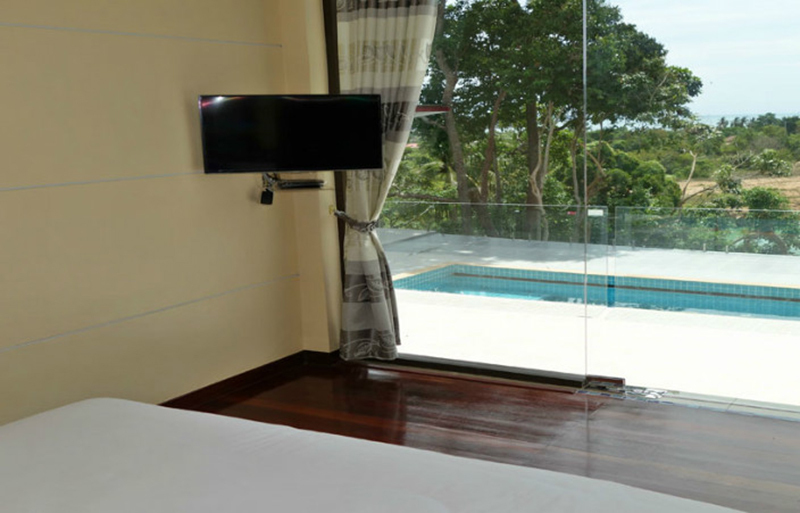 The villa is situated close to the beach, shops, laundry services, restaurants, golf course and only 1 km away from Samui International airport. 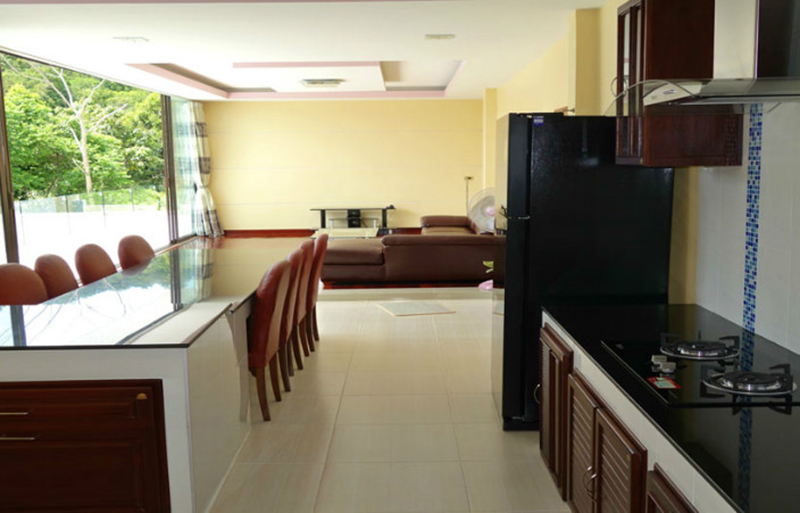 Fully furnished the property offers the customers a video surveillance, satellite TV, high-speed Internet, WiFi, DVD player, off road parking and private garden. 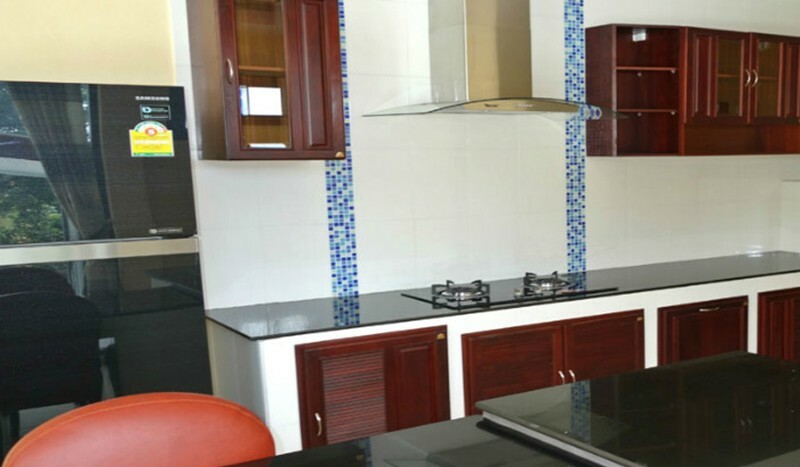 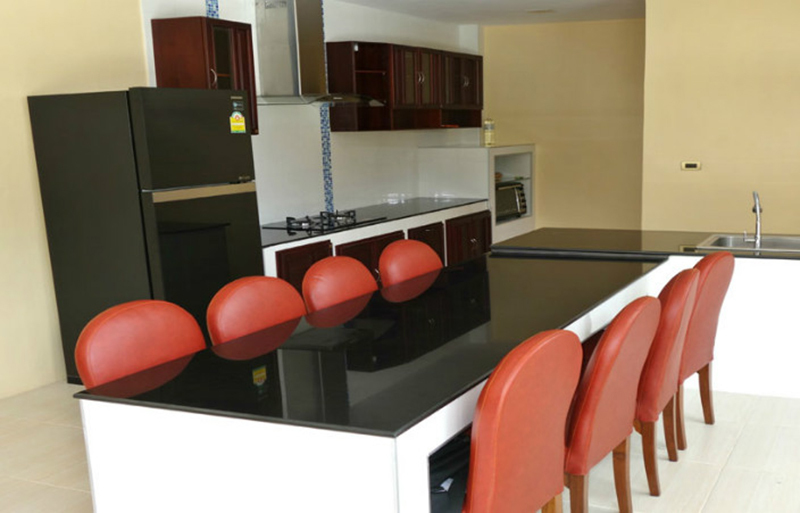 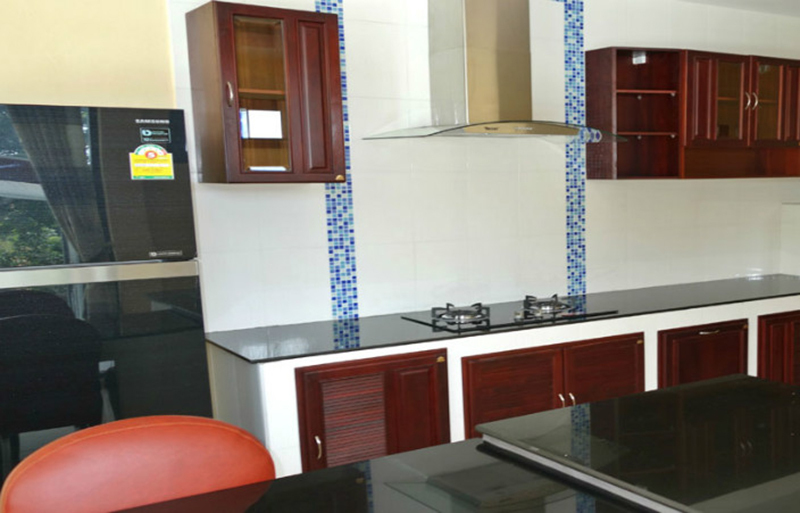 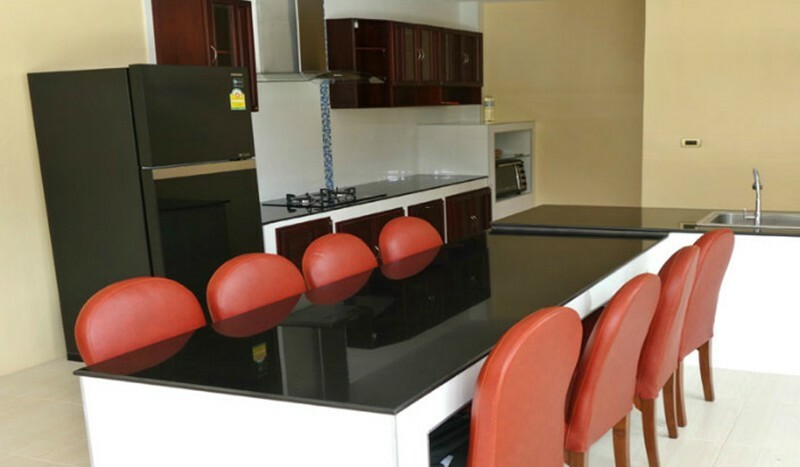 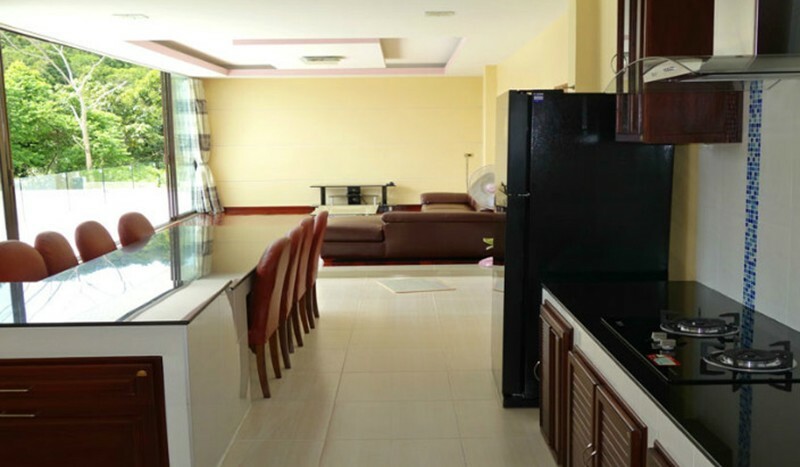 The modern kitchen is fully equipped with an electric oven, microwave and dining table. 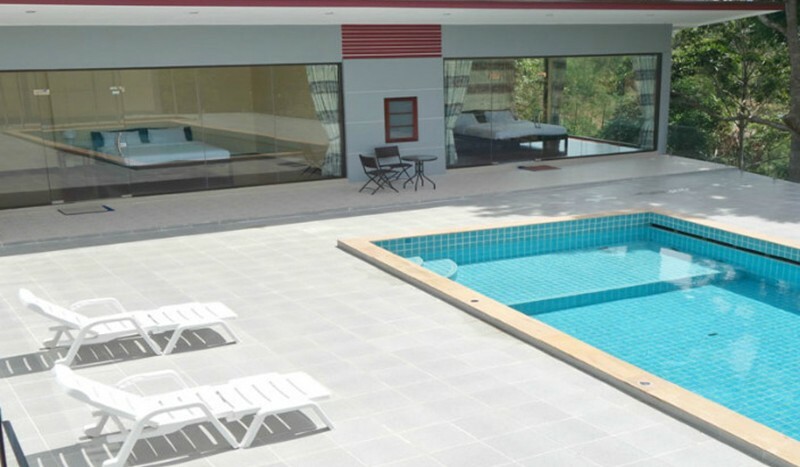 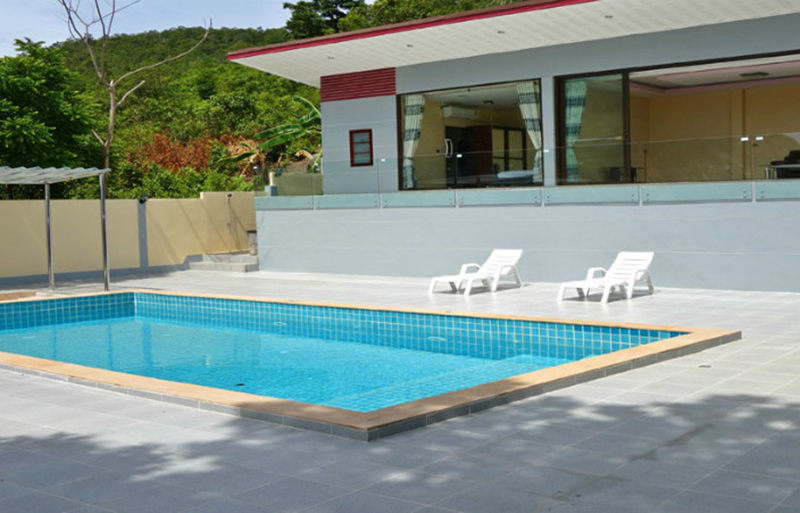 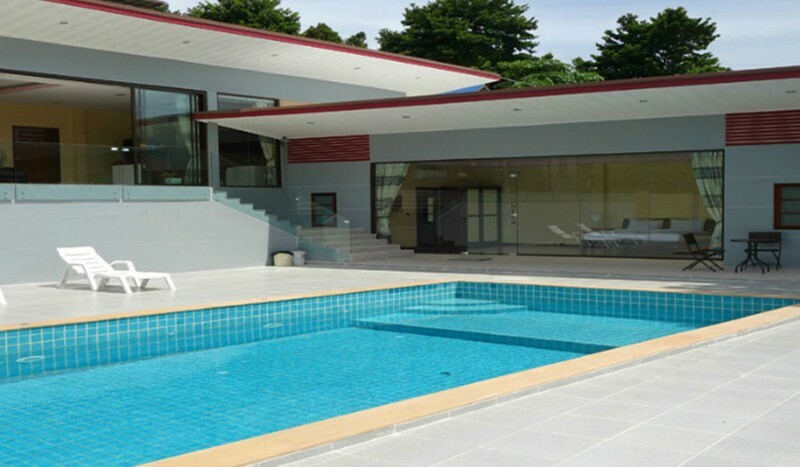 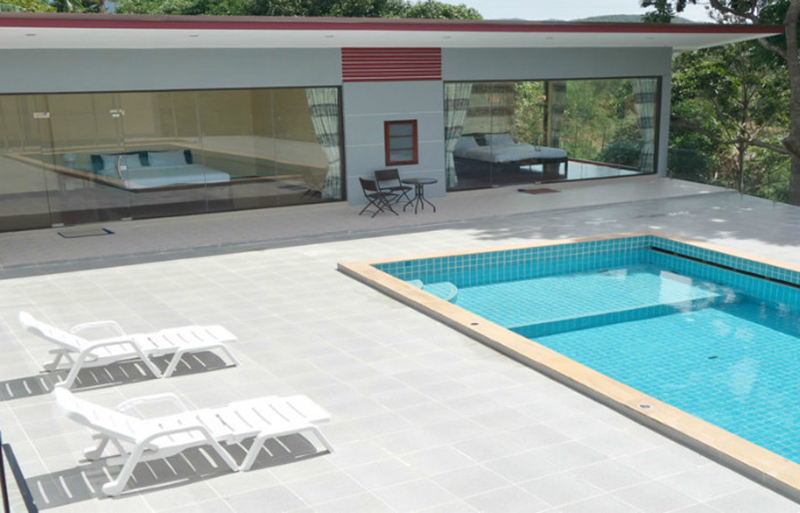 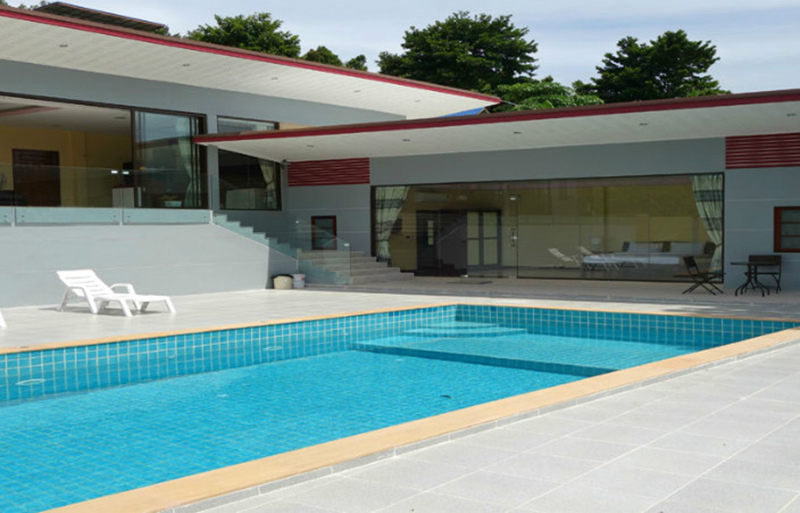 The customers can enjoy sunny weather of Koh Samui sitting outside on a nice terrace of 600 sq m land or swimming in a 50 sq m private swimming pool. 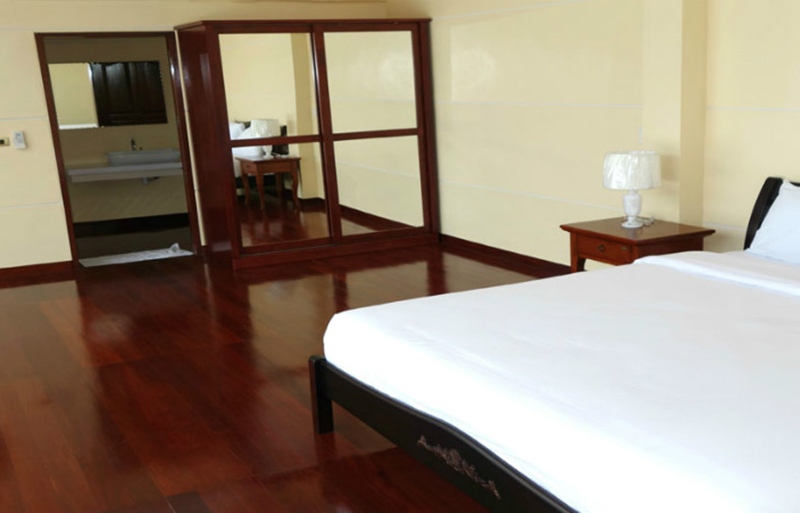 The prices vary according to the season: from 300 $ per night in the low season to 400 $ per night in the high season.